Worry-free disposal of sensitive documents. 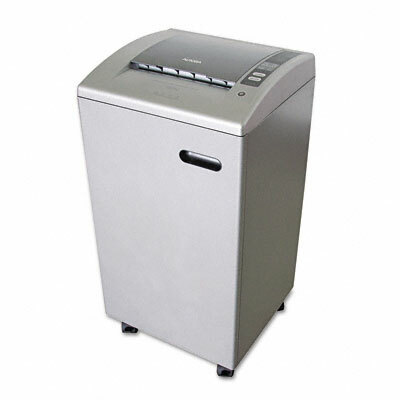 A heavy-duty shredder that delivers ideal performance with extra security for the home or office. Sturdy high-grade cutters churn documents into confetti-like particles. Rugged steel construction ensures reliable, long-lasting performance. Features a low-noise motor as powerful as it is quiet. Wastebin pulls out easily to empty. 360° swivel casters make it effortlessly portable. Never worry about disposing of sensitive documents again.